Safari Construction Equipments Pvt. 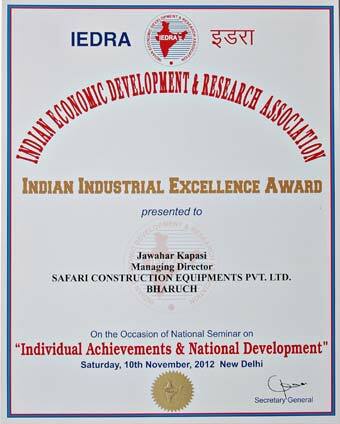 Ltd (Gujarat) Managing Director, Mr. Jawahar Kapasi was awarded the “Indian Industrial Excellence Award” for excellence in construction machinery and equipment manufacturing. 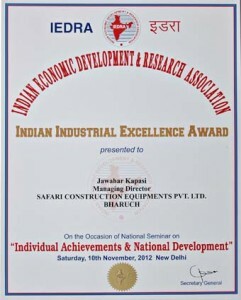 The 69th National Seminar on “INDIVIDUAL ACHIEVEMENTS & NATIONAL DEVELOPMENT” organized by Indian Economic Development & Research Association (IEDRA) was held in New Delhi on Saturday, 10th November, 2012. The aim of this seminar was to highlight the substantial contributions and efforts many individuals and organizations in the fields of industry, commerce, health, education, technology, engineering, information technology, sports, tourism and other economic fields. Leading dignitaries, directors of industries and heads of various organization participated in this seminar. Present in this seminar were Dr. Bhishma Narain Singh, Former Governor & Union Minister, Dr. G. V. G. Krishnamurthy, Former Election Commissioner of India, Sh. Joginder Singh, Former Director CBI, Major Ved Prakash, Secretary, All India Congress Committee, H.E. Mohammad Hacene Echarif, Ambassador of Algeria in India, Prof. S.S. Bakri, Director U.N & UNESCO STUDIES. Speaking on the occasion Dr. Bhishma Narain Singh, Former Governor & Union Minister said that the nation has become a great economic power with special emphasis on education and job opportunities. 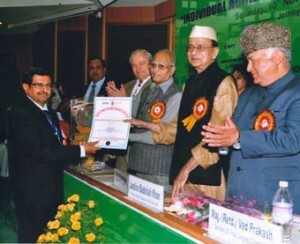 Dr. Bhishma Narain Singh, Former Union Minister and Governor stated that for the first time the Govt. is making plans that will change the entire economic infrastructure in the country. Dr. G. V. G. Krishnamurthy in his speech said that the nation has developed in many economic fields and is producing international quality goods. The foreign dignitaries also spoke on the occasion and highlighted the increased economic and social exchange between their countries and India. Safari Construction Equipments Pvt. 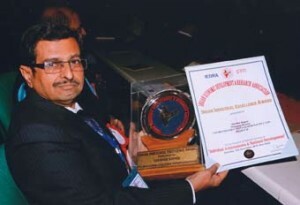 Ltd ,Gujarat is the market leader for developing and manufacturing JK Mini Cranes – an innovation in construction and material handling equipments. 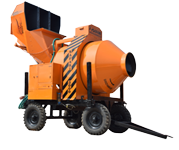 Safari also manufactures concrete mixer of various sizes, tough rider, batching plant, mini dumper, tower hoist and other construction and material handling machinery. Mr. Jawahar Kapasi, MD of the company personally overlooks the design of each machine, enabling every machine to give maximum output and efficiency with minimum maintenance. Today these construction machines are the best manufactured in the entire market and are highly recommended by construction industry veterans. Safari Construction Equipments,Gujarat has pan India network, major centres being Maharashtra (Mumbai, Pune, Nagpur, Nashik), Gujarat (Dahej, Vadodara(Baroda), Ahmedabad, Surat, Vapi, Valsad), Bangalore – Karnataka, Kolkata – West Bengal, Hyderabad – Andhra Pradesh, Chennai – Tamil Nadu, Delhi, Raipur – Chhattisgarh, Ranchi – Jharkhand, Bhubaneswar – Orissa/Odisha. Export of construction machinery to African, Asian and Middle Eastern Countries like Beirut, Ghana, Kenya, South Africa, Sri Lanka, Nepal and Bangladesh are regular.